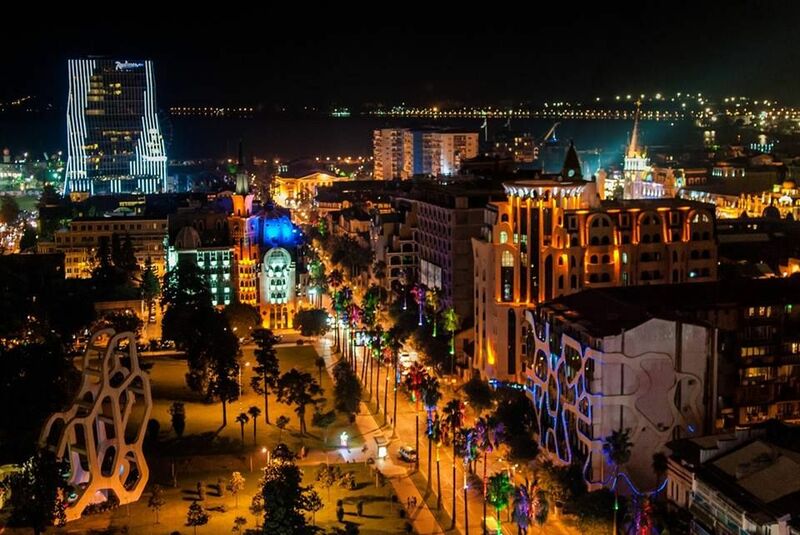 Batumi – a Black Sea resort and port city, is the capital of the Georgian republic of Adjara. 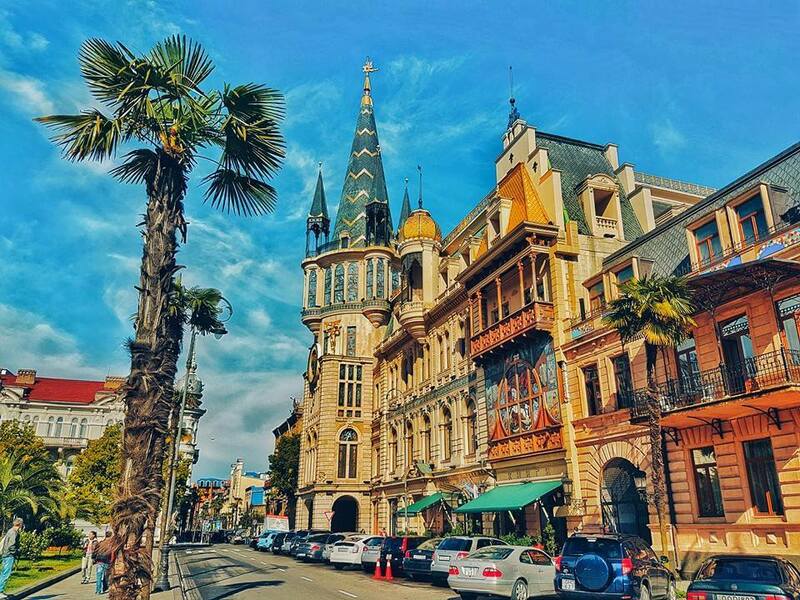 Batumi is the second largest city of Georgia, located on the coast of the Black Sea. 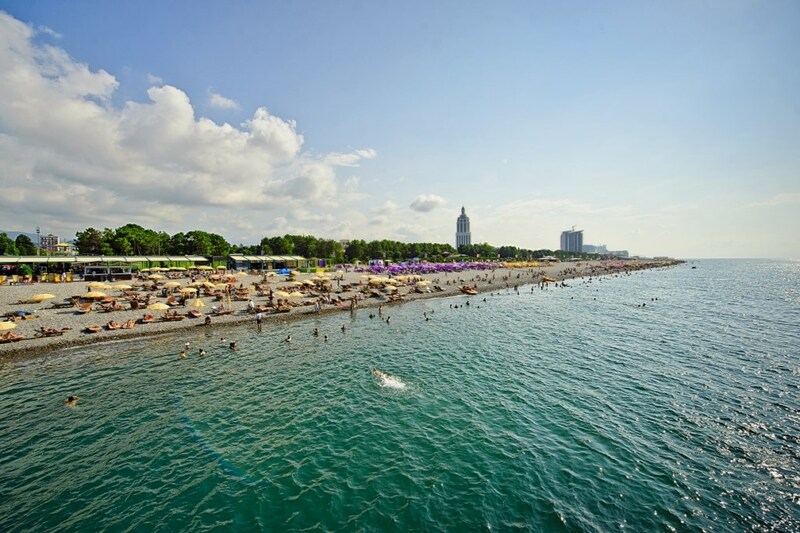 The city is a popular tourist destination known for its varying weather–it is a bustling seaside resort during warm seasons, but can get entirely covered in snow during winter. 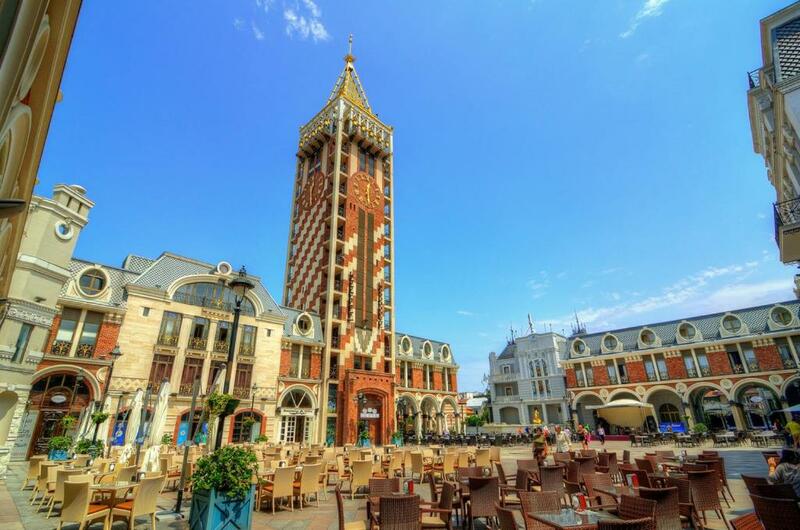 Batumi makes a good introduction to Georgia, with its relaxed atmosphere, plentiful accommodation, good restaurants and nightlife. 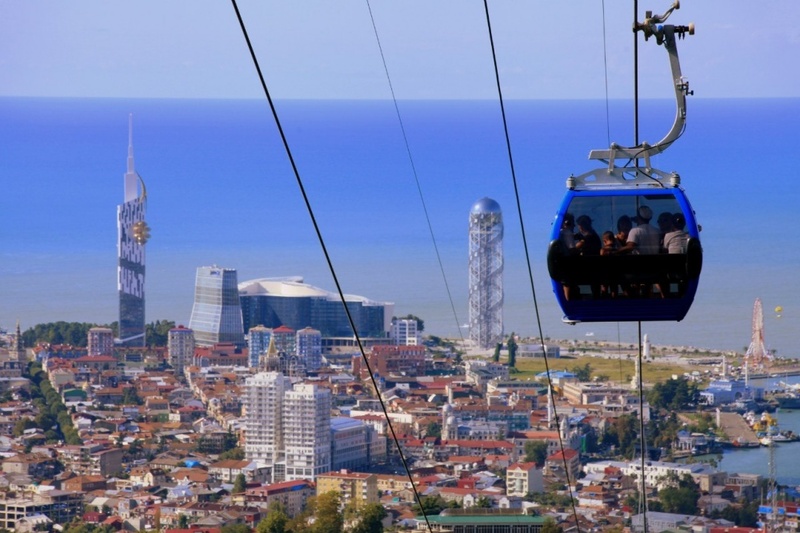 The Batumi Botanical Garden (Georgian: ბათუმის ბოტანიკური ბაღი) overlooks the Black Sea and is one the largest and richest botanical gardens in the world. Located 9km north of Batumi at Mtsvane Kontskhi (Green Cape) it contains thousands of beautiful species of plants. Created by the Russian botanist Andrey Nikolayevich Krasnov in the 1880s, the Garden officially opened on November 3, 1912 and recently celebrated its centenary. The Garden is beautiful all year round but especially in spring when the trees and bushes cover with flowers. The oldest fortress of Georgia – the Gonio Fortress (or the Gonio-Apsaros Fortress) occupying the territory of 4,5 ha is situated in village of Gonio in Adjara, 15 km from Batumi city. Many legends and myths are connected with the Gonio-Apsaros Fortress. The Fortress territory has a tomb which up to date is considered to be the Apostle Mathew’s tomb – one of twelfth Jesus Christ’s disciples whom Savior accepted to his circle instead of Judas Iscariot. According to one of the versions, Apostle Mathew after Christ’s death came to the Gonio Fortress and stayed there to preach. The history of the Gonio Fortress still is fraught with mysteries. There, the archaeological excavation are still underway, and the scientists make a lot of new discoveries, such as a buried treasure dating back to the V century AD, revealed near the southern wall in 1974. Based on the important historical and cultural significance of the Gonio Fortress, the Georgian government announced it Reserve Museum in 1994.